Considering how much Empire of Storms destroyed my life, I had a really good reading month in September! I read six books, and listened to one, which is above average for me. I think after I finished EoS, I just kept grabbing books, trying to devour everything in sight to erase/drown my feelings in. (For the record, this certainly increased my reading count in September, but was not successful in erasing the feelings). I even managed to review 5 of the 6 books I read, so the full posts are linked if you are interested! When the cover was revealed back in May, I was in awe. I love the attention to detail: Aelin’s hair is growing back and the cover reflects that. She is also wielding Damaris, her fire is controlled and gorgeous, and the Eye of Elena is around her neck. Then, as if her sassy travelling/fighting outfit isn’t enough, flip the book over and she is wearing a gorgeous open-backed purple dress that shows off her tattoos. It is amazing how psyched the outside of this book makes me. I have actually seen Sarah J. Maas before and gotten my copy of A Court and Mist and Fury signed when I went to BookCon in Chicago back in May of this year. It was a pretty quick process: we got to chat with Sarah for about two minutes, she signed our books, and then we moved on so the line could continue to flow. I left that signing thinking how adorable, kind, and funny Sarah was; just based on those two minutes of interacting. So, when I saw that her US tour for Empire of Storms included Jackson, MS (only two hours away from my parents house) my sister and I decided that Queen Sarah was certainly worth that drive and bought tickets to the signing. Hi everyone! If you don’t already know, I am a huge, HUGE Sarah J. Maas fan. 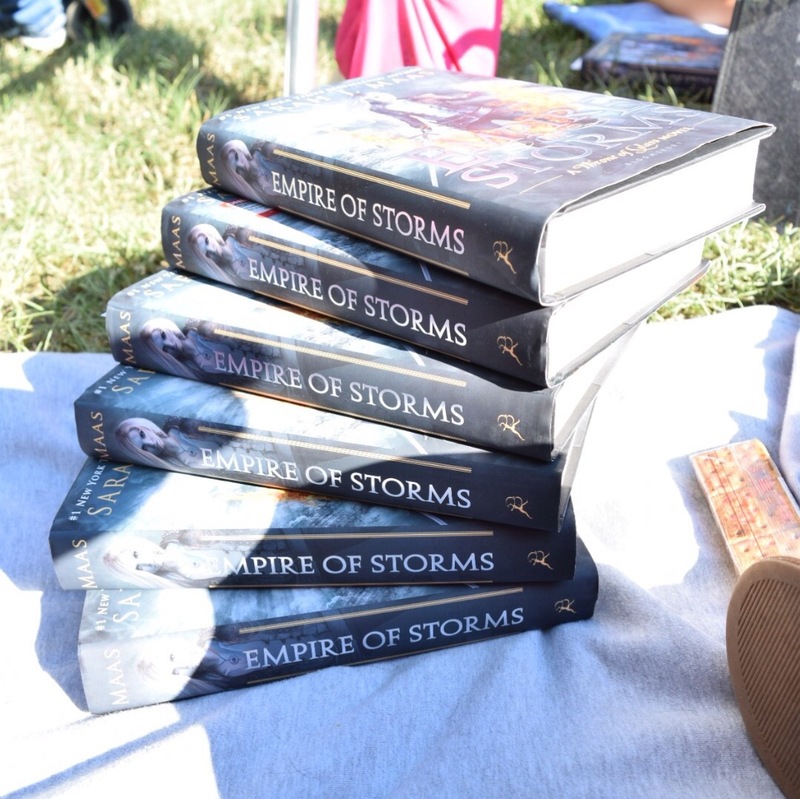 I am so stoked for the release of Empire of Storms in only a few weeks! 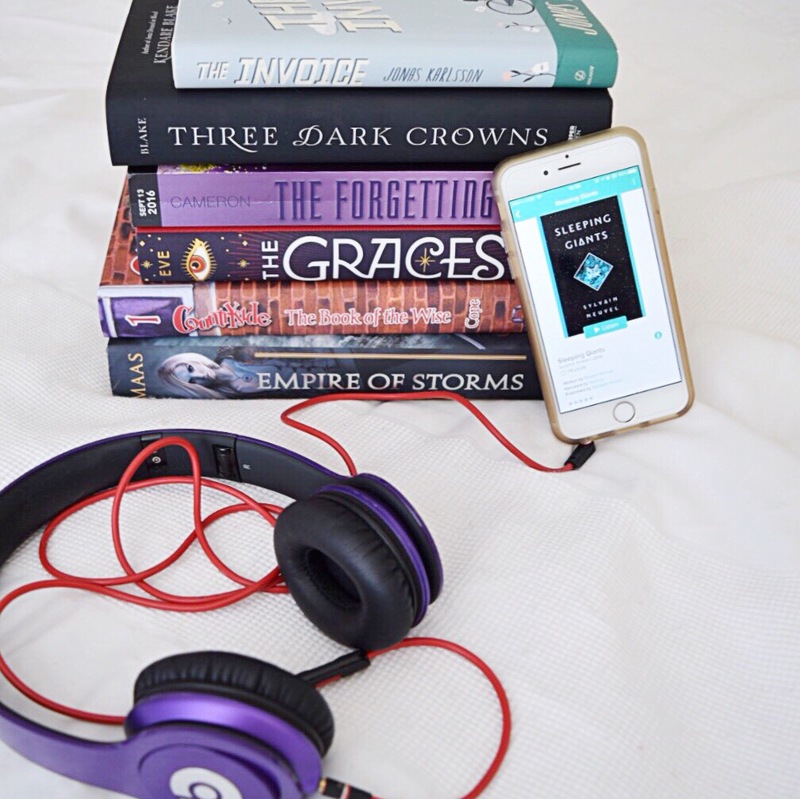 So in celebration of book 5 in the Throne of Glass series, I thought it would be fun to take a quick survey of some predictions for the upcoming release of Empire of Storms! I threw together a quick 5 question survey so we could all pitch in our two cents and predict some major happenings. I even wanted to raise the stakes and include some prizes! Who ever gets the most predictions correct will win an awesome set of Throne of Glass bookmarks from @behindthe_pages Etsy store! To cover all of my bases though, I will let you know that if there are multiple people who get the same amount of predictions correct, those names will go into a jar and I will pick one winner. Also. I think this may be the most important point: please allow me to finish the book before I pick the winners. This is supposed to be fun, so don’t take it too seriously! I don’t need anyone asking me if there is a winner for the bookmarks when I haven’t finished the book yet. So with that being said, you can click HERE to take the survey! I am super stoked about this, I hope you all are too! Good luck my friends!